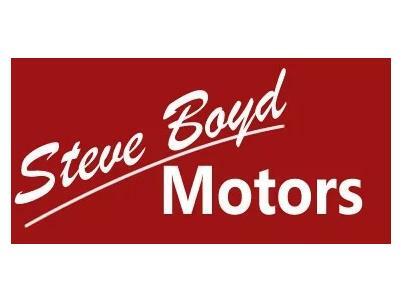 Steve Boyd Motors has been licensed and operating now, in the picturesque town of Bowral since 1983 which makes us the longest running continuously licensed car dealership in the Southern Highlands. Before that, we (the family) and the business came from the beautiful northeast coast of Northern Ireland (where Game Of Thrones was filmed). People not only come from the local area but they also come from all over NSW (and interstate) to buy vehicles from Steve Boyd Motors because we are a lot different to any other dealership you may come across. How are we different? We are a modest relaxed family business, can offer real value for money cars (definitely the cheapest in the Southern Highlands without exception and repeatedly the cheapest relevant prices for NSW in all the car classified websites), there are no "used car salesmen", no pressure selling, and we have reputable dependable business practices. Low overheads means low prices and high turnover. Steve Boyd Motors is a modest sized family business established 35 years ago. Being pro-active and quick to act means leaving bigger and more cumbersome organisations in our wake. The business operates with very low overheads because of our unique set up and from this customers benefit with large price savings being passed on. As a long-running family business we can sell cars cheaper than anyone else because we don't need to employ additional staff (and that also means we do not employ "used car salesmen" to bother you), we own everything, and a lot of our business is by word of mouth so we don't need to spend thousands a week on advertising. We do not employ or agree with the practice of heavy pressure selling where by you enter a dealership and are subsequently overcome by sales staff begging for your business. It's simply a fully licensed dealership where you can come in and find discounted one owner ex-government cars (with service history and are NSW registered) and if you would like some help then we will help. That's why people love us. And yes, we do take trade ins as well, depending what it is. We offer something different with a peaceful, relaxed and casual environment that you can feel comfortable in whilst browsing. It's all up to you. Buy a car at a discounted rate from Steve Boyd Motors or buy a car somewhere else and pay more money for exactly the same vehicle just because they have to cover their much higher expenses. We supply personally selected near new ex government cars and commercials (a lot still with new car warranty) and also price range vehicles. There is a high turnover of vehicles so if we don't have what you are looking for today, keep checking our website as new ones arrive weekly or click here and tell us what you want so we can let you know if it comes in. Also if you wish to sell a vehicle we might buy it, but no promises as we will only buy vehicles that are of value and if we have the space. No pressure, no used car salesmen, we make buying a car feel normal. So please feel free to visit our dealership and have a look around and relax, there's no pressure.